Temperature, Tilt and Tipover, Motion, Shock, Vibration, or Proximity, Thurston Engineering supplies industry leading solutions for highly dependable sensing. We are constantly updating our offerings, so if you have an unusual need, check with us, chances are we can build a solution to fit your requirement. We offer an extensive variety of thermocouples to suit virtually any need. Whether you need basic and cost effective or highly accurate, we have the solution for you. Our thermocouples come in a wide range of elements, mounting fittings, connection heads, metals, and protective options. Our thermocouples outshine the competition with long lasting thermal response at cost effective pricing. Contact our representatives for assistance choosing the proper product to fit your application. Contact us to find the best solution for your project! 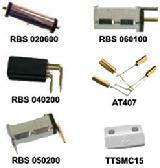 Our offerings of Specialty Switches are extensive. There are countless variations available, so contact a Thurston Representative for assistance in choosing the options that fit your need. 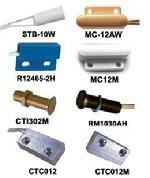 We offer Reed Switch, Mercury, and Micro Switch contact styles. These are available in both plastic and stainless steel. In addition, talk to us about our "Do It Yourself" Kits, Single/Multicontact, and Custom Assembly design options. 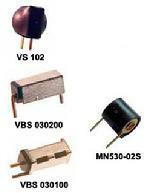 We have the Motion, Shock, or Vibration switch to suit a wide variety of industries and applications. We have ball contacts in the normally closed or normally open options, omni positional switches, switches for motion and movement detection, switches for shock detection of levels from 1.5 G, and spring loaded contacts for vibration or shock. In addition to these options, new products are constantly being developed. Don't see your solution here? Contact our representatives for new product options.